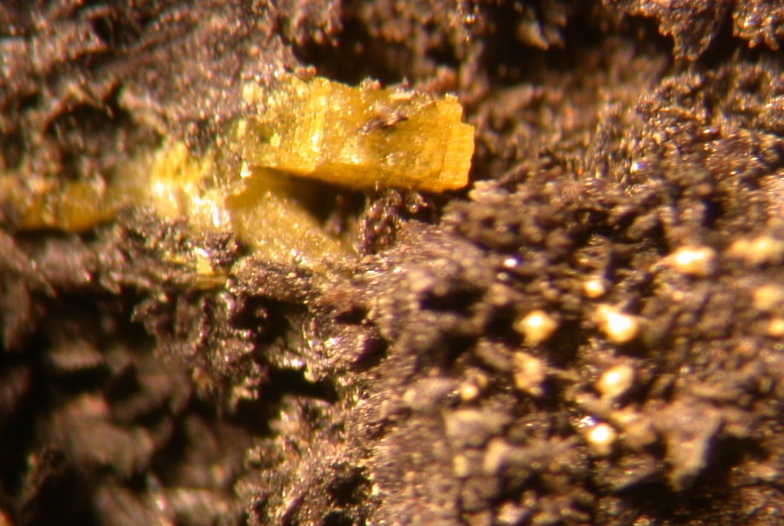 Hydrotungstite: Mineral information, data and localities. Hydrotungstite is unstable and dehydrates to tungstite, so most specimens in systematic species collections are no longer hydrotungstite. Ferberite 6 photos of Hydrotungstite associated with Ferberite on mindat.org. Tungstite 5 photos of Hydrotungstite associated with Tungstite on mindat.org. Cuprotungstite 1 photo of Hydrotungstite associated with Cuprotungstite on mindat.org. 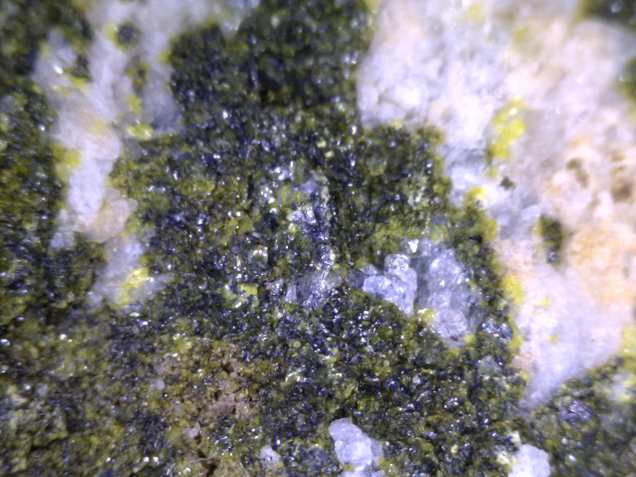 Hübnerite 1 photo of Hydrotungstite associated with Hübnerite on mindat.org. Quartz 1 photo of Hydrotungstite associated with Quartz on mindat.org. 4.FJ.05 Meymacite WO3 · 2H2O Amor. 4.FJ.05 Sidwillite MoO3 · 2H2O Mon. 4.FJ.10 Tungstite WO3 · H2O Orth. 7.15.3 Sidwillite MoO3 · 2H2O Mon. 7.15.5 Tungstite WO3 · H2O Orth. 7.15.7 Meymacite WO3 · 2H2O Amor. 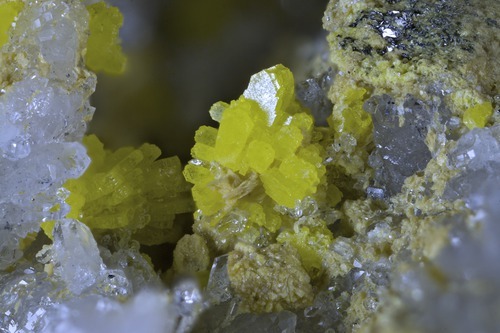 Mineralogical Record (1981): 12: 81-85.
ⓘ Juliana Mine (Fenix Mine) ? A.K. Chatterjee, "Tungsten Mineralization in the Carbonate Rocks of the George River Group, Cape Breton Island, Nova Scotia", Nova Scotia Dept. Mines, Report 77-7, 1977.
ⓘ La Fosse Profonde (La Poudrière) ? Bussink, R. W. (1984). Geochemistry of the Panasqueira tungsten-tin deposit, Portugal. Geologica Ultraiectina, 33, 1-170. Števko M., Sejkora J., Malíková R., Ozdín D., Gargulák M., Mikuš T., 2017: Supergénne minerály z kremeňovej žily s Mo-W mineralizáciou pri Ochtinej, Spišsko-gemerské rudohorie (Slovenská republika). Bull. Mineral. Petrolog., 25, 1, 43-54 (in Slovak with English abstract). Ref. : Števko M., Sejkora J., Malíková R., Ozdín D., Gargulák M., Mikuš T. (2017): Supergénne minerály z kremeňovej žily s Mo-W mineralizáciou pri Ochtinej, Spišsko-gemerské rudohorie (Slovenská republika). Bull. Mineral. Petrolog., 25, 1, 43-54 (in Slovak with English abstract).